If you got the impression from my previous posts that Les Heures du Parfum were purely intellectual constructs, if you couldn’t figure out whether they smelled nice or not from my descriptions, if you suspected the contemporary art analogies placed them in the realm of experimental, i.e. “interesting but I’d never wear that”, perfumery, well, let me clear that up for you. Les Heures du Parfum smell good, though in an unexpected way. They don’t set out to jar, like, say, some of the Comme des Garçons or État Libre d’Orange. But they definitely bring something new to the field, so that my first thoughts, when I discovered them, weren’t: do I like these? Would I wear them? Do they magically cause my credit card to levitate from my wallet? It’s a legitimate approach, one often adopted by bloggers and one that is, understandably, foremost in the preoccupations of their, and my, readers: perfume aficion blended with a consumer-review approach. But they're not the only questions. The impressionistic "what feelings does this perfume awaken in me?" riff is also a perfectly legitimate approach, and an enjoyable read when the writer is talented (as is often the case). But there are objective criteria and those too need to be addressed, if perfume is to be considered in any way or form as an art rather than a consumer product/sacred mystery presided over by alchemists. When I first started out reviewing fashion shows, I’d project myself in the outfits. At the time, I was co-writing those reviews with a much more experimented fashion journalist, and she taught me, through our discussions while writing, how to ask other questions. What intent does it set out to fulfill? How is it situated within the context of the perfumer body of work? Within the history of the brand? Within the current season’s offerings? How does it make the genre evolve? 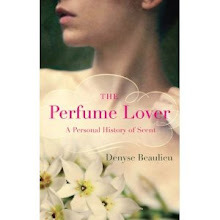 What relationship does it bear to the history of the perfumery? Can any light be shed on the work through other creative fields? Of course, I can’t always answer those questions. Sometimes the perfume doesn’t ask them. Sometimes its ambitions are more limited, especially in the case of mainstream launches, which makes it all the more surprising when something that came out of a brief, rather than a perfumer’s desire, achieves a measure of originality. Conversely, a lot of what passes for niche nowadays seems like the stuttering repetition of matters previously dealt with more masterfully by other perfumers. But if at least a share of the art of perfumery is to be snatched from the claws of the marketing talibans, the art of the perfumer needs to be approached with something resembling art criticism. This isn’t the perfumers’ job though some of them are able to speak clearly and convincingly of their creative process. They create the “black box”. Critics open it, and shed some light on what’s inside. In the case of perfume, it is perhaps a more arduous process because of the lack of formal training available to non-professionals – I learned music as a girl, I took art and film history courses in college, I have a post-graduate degree in French literature, but perfume appreciation I had to teach myself through blogs, books, encounters with perfumers and a hell of a lot of sniffing – I also owe a lot to my frequent and fruitful sessions with my friend Octavian Coifan. It just so happens that my encounter with Les Heures du Parfum has pushed me to take an extra step into the field of criticism. My discussion with Mathilde Laurent put me in the position of a critic speaking with an artist – an awareness that had been building up through my previous encounters with perfumers such as Jacques Polge, Isabelle Doyen, Vero Kern and Cécile Ellena, as well as my email exchanges with Jean-Claude Ellena. But I feel that the critical mass, as it were, has been reached. And so I’ll be getting back to the last three Heures du Parfum in the next post(s). 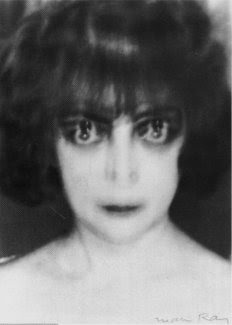 Image: Portrait of the Marchesa Casati by Man Ray (1922). That was a wonderful & thought-provoking read, D. Thank you for starting off my Sunday so well. Those questions all apply to fashion (which I usually write about) as well as perfume, and I try a little to answer them, but you're inspiring me to dig a little deeper. At the end, though, the question I always ask is, "Do I think this is beautiful?" At bottom, that answer is the reason I write about anything, clothes or perfume or food or whatever. Criticism is a dodgy-feeling discipline for me sometimes because at bottom I'm just handing out my opinion and I do have moments of, "Who the hell do I think I am?" Your writing is valuable to me because of a combination of your expertise and your taste, which I feel like I've got a bit of a handle on as it relates to mine. I can only hope the folks who read my stuff feel the same way. Amy, the problem with reviewing perfumes from that standpoint is that of legitimacy (i.e "Who the hell do I think I am"): apart from a few people who have actually trained in the art (Octavian being most prominent among them), no one writing about the stuff actually has a degree. As for the "Do I think it's beautiful" question, that raises the matter of "pure art" versus "meant to be worn/used" art because, well, we don't usually wear stuff we think is ugly, unless we want to achieve a particular style or make a statement. But the matter of beauty has been displaced in contemporary art and maybe there are ways to re-train our gaze (nose) to find beauty elsewhere? It's been done over and over in fashion -- think even of a relatively "mainstream" designer like Miuccia Prada, whom I admire because there's always something a little "I don't dress to please(men)" about her clothes. Finding new kinds of beauty: now there's a thrill! I agree about beauty -- I'm not always looking for a traditional definition of "beautiful," in the sense of "prettiness." "Beautiful," for me, has become the way I say, "Thrilling to my aesthetic sense in some way." Beauty for me can be found in the strictly sensory realm (i.e., it looks pretty, it smells good) or it can come from the garment's (or perfume's) less obvious qualities, the ones you mention in your post: is it true to a vision or philosophy? Does it challenge its audience? Does it break ground or intelligently explore what's already been created? There are a lot of things I find beautiful that aren't "pretty" or easy -- I think that helping people to explore that idea is one of the most valuable functions criticism can perform. Amy, exactly. Though probably Coty and Chanel didn't need this way back when they launched their groundbreaking scents. But then, there wasn't the current cacophony of "new!!!!" in the media. What do you mean exactly by critical mass? Your first mention about intellectual constructions vs. descriptions can be found also in any other art. Can I make you feel a certain piece of music (let's say Stravinsky) only with words and without any "music"? Can I "explain" you Kandinsky only in words without showing you an image or at least making a small sketch, if you never met his kind of art before? I'm afraid that the case of fragrances and their understanding is similar to general art appreciation. The mission of criticism is to unveil and to unwrap things. Since the Renaissance our western eye has been "trained" in a specific way. We "see" in the way art shaped our mind and this way is often different from contemporary art. Look at the setting of a TV show or the layout in fashion magazines. They follow similar composition principles that were in art since centuries ago. I do not think that fragrances are personal and I feel the same for the notion of Beauty. Beauty is universal in our western culture (I know some will look very strange at me) but some types of beauty are harder to understand. "Do I like a fragrance for me or not" is similar to the selection of a painting. Most people will prefer a cosy Corot painting in their room and not an Egon Schiele. Legitimacy is a hard subject today. I remember years ago when the blogs have started, the reaction of many people in the industry (who do they think they are?). I waited and waited to read papers written by perfumers (other than the press releases for a new creation) or by the "imaginary" professionals. Nothing happened in theese years. The legitimacy is the result of self discipline, ethics and what you write. The subject of beauty is often misunderstood in fragrance/fashion and even design because of the confusion - beautiful / pleasant / pretty / taste. Kant had a memorable piece on that and I wrote a paper about the consequences in fashion criticism (it's in romanian). Explaining Fragrance ART to somebody that doesn't smell so much is as difficult as trying to explain to an aborigen what Western Art is about and why Vermeer and Paul Klee are great artists. There are fashion designers for the public and designers for designers. Prada is one of them. Prada is not just clothes. Roudnitska is not just pretty fragrances. "Critical mass" I guess is a wordplay: I've reached the moment when I feel like a critic; the moment when a chain reaction is possible... at least inside my head! I don't think a critic can shed light on a piece of work that the reader hasn't seen/heard/smelled unless that reader is already well-versed enough in the matter to represent to him/herself the work in question -- and even so, the way a critical reading can be most enlightening is when the reader *has* seen/etc. the piece and can then go back to reading the article. And I couldn't agree more that most "popular" arts -- TV, film, photography -- reproduce the traditional canons of art, while the beaux-arts have explored other, more challenging avenues. Again, I think that beauty is not purely in the eye of the beholder: that there *are* objective criteria beyond personal inclinations. Though there *is* such a thing as a critic's taste: a school he/she may defend, and provide a discourse for. I am thinking here of Pierre Restany for the Nouveaux Réalistes, for instance. The matter of legitimacy will sort itself out, through recognition by readers and also by professionals: this is starting to happen. Though (and this is another discussion) what will happen to the numerous perfume blogs is still open to speculation. I think a feeling of community between bloggers and readers is another form of legitimacy (they are not mutually exclusive). As for Prada, she *is* a patron of contemporary art and architecture. Very well put, Denyse! As you said, almost all of us have to educate ourselves about perfume because there is almost nowhere for us to go for formal training in the subject - and if we do find out about such things it's long after we have received our formal education in other subjects. Some of us have been fortunate to have a mentor, or talented friends who are perfumers, or some other good fortune, and others must do it all alone, with our fellow bloggers and perfume lovers such as yourself for inspiration. However we come to perfume appreciation, we can only have great respect for those who have made it their life's work, such as Ms. Laurent. As Octavian, commented, I have wondered why so few professionals/experts have come out to have their voices heard in addition to the mostly untrained bloggers. How much I have enjoyed Octavian's very learned writing, and that of Andy Tauer, who lets us in to the world of his creations, but he runs one of the smallest perfume companies in the world, and he is also completely independent. If the larger companies do not like perfume criticism, then where are their own advocates? We read about "failed" fashion collections all the time in the magazines, and music is subject to utterly merciless criticism, and so is film, and it would be very strange if everyone in those fields did nothing but whine all the time about how mean everyone is being to them and how others should only say nice things about their work, or even go so far as to try to silence their critics by legal means, as the fragrance industry has done! It is very poor publicity. If perfume is an art form, and I truly believe that it is, then it should go under the spotlight like every other artistic discipline. If one new perfume is the equivalent of a Mozart sonata and another is more like trashy bubblegum pop for teenagers, the public certainly has the right to know before they spend their money on it. Bravo. I applaud the questions you use to set up your inquiry, especially those regarding intent and context. I have mixed feelings about what happens when a field tries to legitimize itself through criticism, having seen the ups and downs of this from the literary side of things. Too often, the emphasis is on establishing a hierarchy rather than creating a better opportunity for understanding and letting the reader/perfume wearer/art fan/etc. create their own relationship to the work. I think this is especially important for art forms with pop or massmarket genres, like perfume, music and fashion. There are times when one needs a perfect white t-shirt, a beautiful teenybopper song of heartbreak, and so on. And of course, I'm just glad to read some brainy stuff about perfume, because I like that sort of thing. I have a sudden vision of Plato discussing the Idea of beauty. Perhaps criticism is figuring out how much something partakes in Beauty, and thus determining how beautiful the object is? After reading these comments I am vaulted into the Platonic realm of the Ideal. I'm also feeling the tension between the personal and the Ideal...I suppose the tension may be unneccesary, and that each is valued, but maybe this tension is so because we are dealing with an art form that people purchase for themselves. I'm also thinking of a painting I saw for the first time the other night, Titian's Sacred and Profane Love. The two depictions of Aphrodite seem to me a visual illustration of the tension- the profane love that is about the personal, and the sacred love that captures more of the Ideal realm. Thanks for the great piece, Denyse! Good food for thought. Let me just tease out one strand from your line of argument: why aren't there more perfume industry professionals expressing themselves since perfume companies are clearly annoyed with us "non-professionals"? Well, I don't think it's necessarily up to the perfumers to write, though some, like JC Ellena, do it well -- he exposes his method quite limpidly, and *that* I'd love to see more of. What I *do* think is that there should be more room for discussion, more availability on their part, and this process has already begun. This may lead to a development of the perfume review genre, as it moves out of the (sometimes solipsistic) musings on a composition and into the mechanisms that led to it. Alyssa, when you write "a field [that] tries to legitimize itself through criticism", I suppose you mean the various people trying to gain legitimacy in a field by writing reviews? Of course, and I guess that's just human nature... And that's certainly what I'm doing myself. As a lifelong lover of the Shangri-las and the Ronettes and an early fan of the Ramones, I'd be the last one to put down the perfect pop ditty. That's why I think it's important to ask ourselves what a perfume sets out to be, and whether it achieves that intent. I think Miss Dior Chérie, for instance, works well within what it wants to be, and that's not Miss Dior. Jared, I haven't read Plato since college but Titian's paintings are all over my house, in postcard form! I guess what I'm aiming at is a view of perfume that goes beyond the gut-level "like/don't like" reaction that we all have, to judge it on its own merits. Which is an entirely different process from choosing to wear it or not, but yields its own enjoyment. For instance, I think Angel is a great achievement, but I'd sandblast my skin off if it touched it. Thank you for putting into words some of the principles of the "art" of fragrance review that I have tried to operate by, while composing potentially critical commentary on fragrance. I found myself at a little bit of a loss for words yesterday when trying to comment on a mainstream scent that was perfectly suitable for its target group, but that was about all. It was not groundbreaking or exceptionally composed, but nor was it a wrecky dredge of a scent. I suppose the composition fulfilled what it set out to do, although that was not much. It really got me thinking on matters such as this, and I've begun to realize that some of the most artful sorts of perfumery is one that can be loved by true connoisseur and those who just want to smell good! To ignore that is likely to alienate a large readership. Wow... Thank you, it was a truly wonderful read.) In fact, it got me thinking about my own work as a fashion writer - I've been writing fashion reviews for over a year now. I must admit that at the beginning I used to blatantly "choose" the clothes for myself - if I would wear this or that, then it's definitely beautiful.)) Ok, that was a bit naive and limiting, as I soon realised. In fact, now I tend to ask myself pretty much the same questions that you mentioned in your post. I guess that many perfume blogs and reviews (which I've been thoroughly enjoying for several months now) give answers to those same questions - and it IS pure art criticism, of course. I have already noticed that my personal appreciation of a work of art (that definitely applies to both fashion and perfume) has nothing to do with questions like "would I buy this?" "would I wear this?" There are several wonderful perfumes that I respect enormously and consider true works of art - but they are also the ones I cannot wear. I believe the so-called "consumer approach" is terribly limiting when you believe perfume (or fashion) is art. An interesting and thoughtful post! I am very willing to treat perfume as an art, personally I compare it to cinema, and like any form of art (book, painting, movie) I make a distinguo: on one side lies the intellectual pleasure (does the oevre answer some of the questions you mentioned: it brings something new, etc. ), on the other side lies a kind of "personal" pleasure: an emotional and very subjective connection that prompts me to buy a painting, enjoy reading a book or watching a movie. This personal appreciation might be nourished by intellectual references but is much more that that alone. As an example: I love Bacon, the painter, but would never hang one of his portraits in my house. I read saint simon from the first tome to the last, and the thousands of pages of la recherche, in a foreign language, but I went through Crime and Punishment, in my mother language, with infinite pain and only through an act of will. So, if I ever were to review that book, I will aknowledge its masterpiece status and add: "but for a rainy sunday, crouched in a leather armchair, I'll douse myself in Cuir de Russie and choose Bulgakov, Gogol' or Tolstoj over Dostoyevsky at any time!!!!" But I like when bloggers add their own personal opinion at the end - this is all I wanted to say! Hi Denyse--no, sorry I was so obscure, I wasn't talking about the reviewers trying to gain legitimacy for themselves, more about the issue of taking something (like perfume, or pop songs, or, say, mystery novels) not necessarily recognized as having a tradition, an intention, an intellect, as it were, and providing it with legitimacy by writing criticism about it that highlights all those things. It can, on the one hand, be a very powerful, very positive thing. Many of the women writers I adore had vanished from the canon because of the politics of lit-crit in the 1950's through the 1970's, only to be "rescued" and brought back into prominence by new feminist strains of critique in the 1970's-1980's. And many of the second wave feminist writers had to provide this kind of context *for themselves*--along with printing presses, distribution and so on. On the other hand (as you can see in the same example) the same tools can quite easily be used to create a hierarchy, leaving artists and their audiences out in the cold. And sometimes they're used in kind of a dumb way. I'm watching several friends in academic fields based in the practical world--design and pedagogy--who have to come up with a theory for their work in order to legitimize it. I like theory better when it emerges from some kind of urgency, a need to explain, rather than a need to play with the big boys. It's been truly fascinating to watch many of these same issues at play--often unconsciously--in the perfume blogging (and now print criticism) world. Anyway, I was just applauding both your self-consciousness and your particular slant. You're already quite legitimate in my book! Jared, the gut level is absolutely fine -- sometimes we instinctively know what's good, and anyway, it's a good way of sorting out what we want to explore further and what we can leave for later (or never). Especially when it isn't a day job! And even so, you'd get burn-out. Kristy, I know what you mean. I've been writing on mainstream stuff for another endeavour and putting myself in the skin of people who enjoy fragrance, but not as obsessively as this particular mundillo. It was an interesting and fruitful exercise. Fashionistaag, I think both approaches (consumer reviews and "art" reviews) have their legitimacy. And the approaches are often blended to some extent. It's just that the "would I wear this" limits the scope -- though, I'd say, less in perfume than in fashion where body image/age/lifestyle issues are probably more prominent. Karl Lagerfeld once said: "With a handbag,we're all model-sized" ("Avec un sac à main, on a tous la taille mannequin" -- in French, the aphorism rhymes). Same goes for fragrance: luxury and beauty, no matter who we are! (or think we're like). Zazie, what you say about painters goes for any real art collector: "would I live with this in my house"? But you're entirely right: it *also* comes down to the question of the intimate connection we feel to a piece of art, whatever its form. And sometimes, it's also just a matter of pure enjoyment. But because perfume has been saddled with the "most emotional sense" and the "instant emotional recall Proustian madeleine" thingie, there is a tendency to say it can't be judged, that the criteria are purely personal, and that's why I'm trying to posit more "objective" criteria. And as you well know: there's stuff you can't read at a certain point in life, and then, all of a sudden, you "get" it. I felt that way about Flaubert for years. Then I read all of his work in a week. Alyssa, I'm sorry I misconstrued your comment. I see: the high-brow/low-brow thing! Well, I guess I'm a child of postmodernism because that's totally my culture, but somehow I hadn't placed perfume in the category of the "pop" arts... Though some of it belongs there. I know the kind of book you are speaking. There is a word for that and I will not use it. Theory has a true meaning only when we can extract knowledge that can be used in a certain way. My latest post on the art of fragrances were not speculations but very practical (how I decompose and construct my scent trials). Criticism, method, order, vision, hierarchy, curatorial modus operandi, etc. are needed here as anywhere else. Unlike other artistic fields, for fragrances, we can lose everything and we might be unable to rediscover them. Perfumes dissapear very quick from the market and this time I speak only for the creations that have less than 10 years. Maybe the opposite for Beauty in perfumes is not The Ugly. After all, with very few exceptions (intended to shock) we are in the land of pleasant sensations. Octavian, I should've linked to all your recent posts on the matter. As I've told you personally (and I am now telling anyone who's reading this) I consider that you're doing important work towards clearing the field for an aesthetic reflection on the art of perfumery. Somehow this art seems as perishable as dance -- and even then, it can't be captured on film. And I agree: in this case, the opposite of beauty is pleasantness. Which I have nothing against, except that it's not enough. D and O -- Ha! (About "that kind of book.") Yes, that is the worst, when the jargon is borrowed but not the spirit, and out of context to boot. I guess I mostly see that kind of thing as a lost opportunity. There is real urgency in the matter of perfume, as Octavian points out so beautifully, and a chance to say something that would illuminate other, more established (or at least, more widely recognized)fields of art. It's exciting! carmencanada, I don't pretend I have a talent for reviewing perfumes but as an amateur and a consumer I believe I have my own legitimate right to critic if I want to. An elitist and intellectual approach when it comes to a $250 Cartier fragrance is not going to work for everybody because it's first and foremost whether people like it or not. Personal taste and affinity for certain style of perfumes and perfumers probably influence critics more than anything else. What smells like a beautiful gardenia to an amateur or a professional will most likely not smell like a real gardenia to Luca Turin. Perfumers have their own vision on perfumes; for Ellena it's all about composition and execution but for Lutens it's about expression and identity, the rest is secondary to him; who has more legitimacy than other? I am really enjoying your approach, and I look forward to reading more of it. I've always enjoyed your reviews--the writing, the images, the tiny bits of your history that enliven them--but I especially admire your new manifesto. (Fabulous word, manifesto!). I write and read plenty of Perfume Gal on the Street reviews. They're fun, and reading them gives me insight on perfume that I haven't tried. But I do believe that perfume is about more than whether it smells good on me and my amateur's description of what they smell like. Being able to examine perfume in a new way through your reviews is terrific. I hope you're able to continue to interview perfumers, too. Alyssa, that's academia, and the reason why in the end, I never wanted to be part of it. Uella: my analysis of the Cartier perfumes is not meant to get people to buy them. That would be marketing. It was intended to shed light on the art of a perfumer, inasmuch as she seems to be introducing an original approach to her art. As do Ellena and Lutens, each in his own way: what's important here is style, consistency, originality. Of course critics have tastes and affinities: Luca, who you bring up, is a prime example. Taste goes beyond "like/don't like". There are reasons (intellectual) to back it up. That said, any "smelling" session with a perfumer, another perfume writer or a fellow perfume lover will usually yield the following result: through words, one will bring the other to smell a particular facet or accord that other person hadn't perceived yet: perceptions can be modified. It's happened to me over and over again, including with Luca and Tania when I met them. Angela, thank you, I'm flattered. 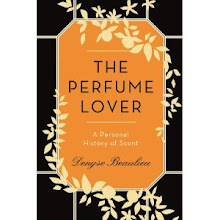 The Perfume Gal on the Street reviews are what started it all: all this perfume culture. I still read lots, because there's always a metaphor, a simile, a story that can shed more light on these invisible enigmas in a bottle. Je vends mes parfums !